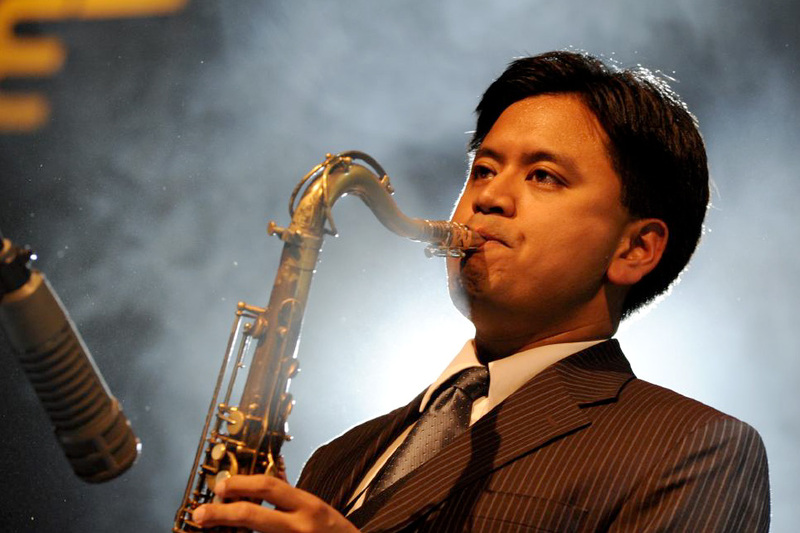 Jon Irabagon is quickly becoming one of the most in demand, busiest, and versatile saxophonists today. To give you an idea as to Irabagon’s output, in the past year he’s played and/or recorded with Dave Douglas, Mary Halvorson, Jon Lundbom’s Big Five Chord, Bryan and the Haggards, Barry Altschul, Mostly Other People Do the Killing, among others. I sat down with Jon over email and picked his brain about his new label, his two new outstanding releases, and related topics. I find his responses regarding humor in music and his aesthetic approach to his writing to be particularly insightful – I hope you will too. Chris Robinson: What led to your decision to start your own record label? Jon Irabagon: When I finished the first Outright! record back in 2007, I sent it to 45 labels before Innova Records finally said they would put it out. I didn’t want to go through the headache of going through all that rejection again. And, in the case of Appalachian Haze, I know that it’s pretty demanding music, and that a label that is trying to make money off of radio play and sales just wouldn’t understand why they should release an non-stop, aggressive 48 minute track. So with these things together, I decided it was time to put them out myself and see what happens. I have to say that I’ve learned a lot about the business side of things through doing this, and that knowing about this side of the music business is very helpful in many ways. 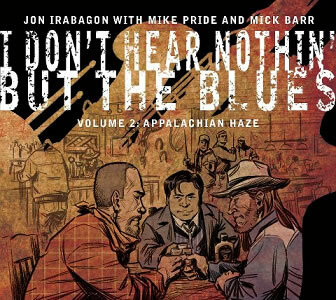 CR: While the second volume of I Don’t Hear Nothin’ But the Blues is in a similar vein to the first volume, it is its own animal. What does Mick Barr bring to the group that wasn’t on the first volume, and what do you see as the continuation of approach from the first volume? JI: When our duo started back in 2007, Mike and I started with a non-determined motif for each performance, and everything we played spiraled out of it, eventually leading to a resource bank of material that would differ for each gig. This is still the case, but after dozens of gigs together, the resource bank has come to be both improvised on the spot and also a collection of motifs, riffs and phrases that will just continue to appear in each performance. I like the fact that there is a continually evolving and growing reference point; this is definitely a band and has a thing it does. Mike and I still pull from and add to that resource bank, but Mick is free to interact with us or not, and use our material or not. Mick is intense, but also logical and flowing, and I wanted to make sure to keep those elements in the group and not mess with those. I’m interested that Mike and I draw from a pool, but Mick is free to roam. It’s an interesting and fun juxtaposition for us, for sure. CR: Is there going to be a volume three? If so, do you know what shape it’s going to take? JI: There will be a volume three… eventually. I’d love for this trio to play for awhile first to see what develops out of it, and we’ll take it from there. CR: I’ve always found in your playing, regardless of the context or the group you’re playing in (except maybe for the new Dave Douglas album), humor and irreverence. There’s a new essay by Charles Hiroshi Garret in which he discusses that jazz has often been defined as a “serious” music, and that elements of humor have often led to the marginalization of artists who aren’t “serious” enough. Have you had some negative reactions to your playing, whether your own projects, or with MOPDTK or Bryan and the Haggards, because people may not be comfortable with the humor or irreverence? If so, what do you think about that? JI: If you have that article, I’d love to read it. I think that many people in the jazz world, both musicians and critics, are really afraid to relax and let their hair down and have fun with the music. For me, the music is the most serious thing in the world. If you bring that type of seriousness to it, you need to also be able to have fun with it. There’s nothing more boring to me than music that takes itself too seriously. Yes, I’ve dedicated my life to music and I study and compose and work on it every day, and there needs to be some levity to keep things interesting and keep me coming back to it. Maybe other people don’t need that release, or maybe they aren’t dedicated to it so much that every time they get back to it, it’s a super serious study in notes and forms, etc. But for me, that gets old really quick. I think that a person’s personality should come through in their music, and I like people who have fun and mess around with things, so I’ve made an active choice to allow those things to appear in my compositions and improvisations. I wouldn’t be true to myself if I didn’t. I think a lot of jazz musicians have been scared into thinking that jazz and creative music is this humorless quest or something like that; I also think that people are dismissive of music that allow humor to come through. But I would rather be true to myself than to appease a critic (whose opinion on music I wouldn’t share anyways) or a musician (who I wouldn’t really enjoy playing with anyway). We’ve seen a proliferation in the number of students who can really play in the last decade or two, and the information and history of jazz is getting internalized by these students at a younger and younger age; I think in the coming decade or two, elements such as humor and more messing with timbres and combining of free and straight ahead playing will start to take over and the music will start to hopefully reflect real people and their real personalities, and not continue to be where musicians are scared into playing what they think critics or other musicians want to hear. Just as an example, most of the time when MOPDTK performs, the only people in the crowd who don’t have a good time at the shows are other musicians. People who are out and allow themselves to have a good time usually do. CR: Related to the humor theme, I completely lost it when I opened up the package and saw the cover art of Unhinged. Why did you choose to parody hip hop album artwork and common stereotypes? Do you think any unsuspecting hip hop fan would see the cover image in the store or wherever and would buy it thinking it’s a rap record? Cover of Unhinged, with photos and layout by Bryan Murray. Note Irabagon out the top of the sun roof downing a tasty beverage. JI: At some point in the future, I would love it if Unhinged got accidentally filed in the hip hop section. Bryan [Murray] is an incredible saxophone player and photographer. I’ve had the idea to do a hip-hop send-up for awhile now. It just seemed like it would be fun to do; rent a limo with a sunroof and do the photo shoot in Times Square. It’s such an iconic, stereotypical thing. And fun. But it also matches the music in a certain way; each of the songs from Unhinged reference a certain genre or style of music. I like having those markers to start from, and as they dissolve, the individual personalities in the group start to take over. Do you improvise using the markers of the style the group is playing off of/leaving? Do you ignore it altogether because you don’t like that style to begin with? Do you switch back and forth quickly? These are the elements I like to see at play, and the people in the Outright! group each have their own takes on it, whether it’s intentional or not. Not all the music I write comes from this angle, but my writing for the Outright! group has always approached music and improvisation in this way. CR: Except for the completely bent cover of “Take Five,” all the compositions on Unhinged are yours. I am especially stricken by some of the titles -especially “Charles Barkley” and “Parker Posey.” Were those arbitrary titles, or do they have any kind of relation to the music, or to your tastes in basketball players/commentators and Christopher Guest mockumentary actresses? If I had listened to “Charles Barkley” as a blindfold test, I would have never even considered him as the subject or namesake of the composition. JI: The names are not arbitrary. There are elements of those people’s personalities that I wanted to capture in the music. Charles Barkley is supposed to be a highlight reel gone wrong. Head fakes, slam dunks, blocked shots, intentional fouls are all a part of the writing on that tune. I went through a period where I watched as many Parker Posey movies as I could, and just like a good musician, her personality comes through no matter what the director wanted from her, so I tried to capture a little bit of that spirit. CR: In the liner notes to Unhinged you write that “the soloists and accompanists are free to use the referential elements [of the compositions]or not, purposefully creating a level of incongruence and tension.” I find the music to achieve a really great balance between structure and freedom, between composition and improvisation, between tightness and looseness, etc. Since I already mentioned “Charles Barkley” – it, like the other tunes, shifts styles or influences and nods back to earlier players quite often and subtly, but without seeming forced or contrived – which is really hard to do. As a group, how did you work that out? How much of the shifting and flowing nature of the music is in the chart, how much is in your direction to the group, how much is up to the individual soloists or rhythm section? How long has it taken to develop that kind of chemistry? JI: I touched on this a little bit above, but yes, these compositions are written with specific styles in mind, and they also incorporate inside and outside elements to help influence (or not) the improvisations. I am into the idea of signals and roadsigns that can be followed or ignored. It’s kind of a different type of Zorn-like game or something, in a more conventional setting. I haven’t had to explicitly discuss this with the players except for a couple of really pinpointed things (referencing mid ’60s Trane Quartet on “Take Five,” for example) because these musicians have spent their time learning both inside and outside methods, and they just come through in their improvisations. Each of those musicians also have a history with each of the other ones, both as sidemen and leaders, so that helps the empathy as well. 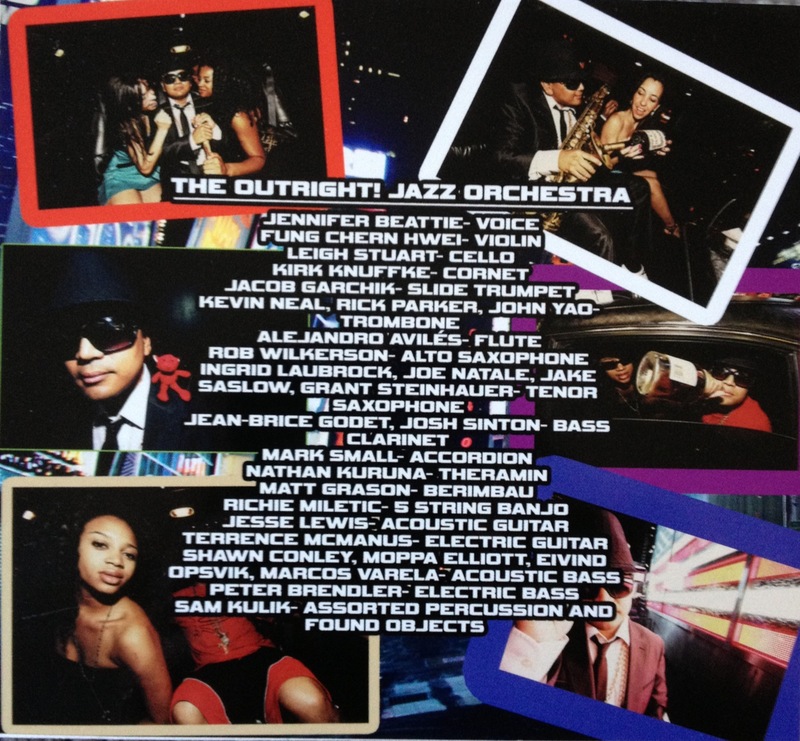 CR: Where did the idea for the Outright Orchestra on “Silent Smile (Urban Love Song)” come from? It’s completely different from the rest of the album, but it fits so nicely at the same time. Like the other tunes on the album, it has a clear structure, form, etc, but there’s kind of a wall of chaos with all the players improvising behind your solo. With so many players (I think I counted 28, not including yourself), it seems it could have had the potential to end up being a hot mess. But in fact, it’s really quite beautiful. How did you work that out so it came together so well? JI: I mention in the notes that there are continuing threads that connect the first Outright! record to this current one, and the idea of having a large somewhat-free improvising ensemble is one of those carry-overs. The first time, however, it was a New Orleans collective improvisation gone awry. This time I wanted to have something totally different. The tune itself, once it gets going, is really just four bars over and over again. Everyone was free to play whatever they wanted on it, and it was fascinating to listen back to it. Some people are playing the changes. Some people ignore them totally. Others just freak out the whole time. In a way, it’s just like what I was talking about above; I like to create roadsigns and people can choose their own path. The next Outright! record will have some sort of large group again, but I’ll have to figure out a way that is both different and still interesting to me. CR: And finally, what work do you have coming up in the future – either solo projects or as a sideman? JI: I’m going to try to get this group playing more, as well as my trio with Mike and Mick. I’ve also got a trio with Barry Altschul and Mark Helias that I am writing music for, and hopefully we’ll record in the summertime. Barry has a new trio CD of his own, with myself and Joe Fonda that is coming out next month, and we are doing some shows and touring to support that. The Mary Halvorson Quintet is doing some European shows this year, and there are a couple of new MOPDTK records coming out this year; one quartet one and one where we’ve added Brandon Seabrook, Ron Stabinsky and Dave Taylor. I’m also touring a bit with the new Dave Douglas Quintet, which I’m very excited about. And Mike Pride’s From Bacteria to Boys, which I joined two years ago, is releasing a record on AUM Fidelity in the spring. CR: Thanks so much Jon. JI: My pleasure! Thanks for listening to and supporting the music!